The Shoofly block is one of the simplest blocks in the whole Vice Versa quilt so we're starting off pretty easy. Here's how our two coordinating blocks finished! On pages 42-43 of Sister Sampler Quilts, you can find the super easy instructions for this block. AnneMarie included a handy tutorial for two-at-a-time half-square triangles in the back of the book on page 108. I use a pencil to draw my diagonal line on the wrong side of the fabric, since it typically leaves a pretty light mark. 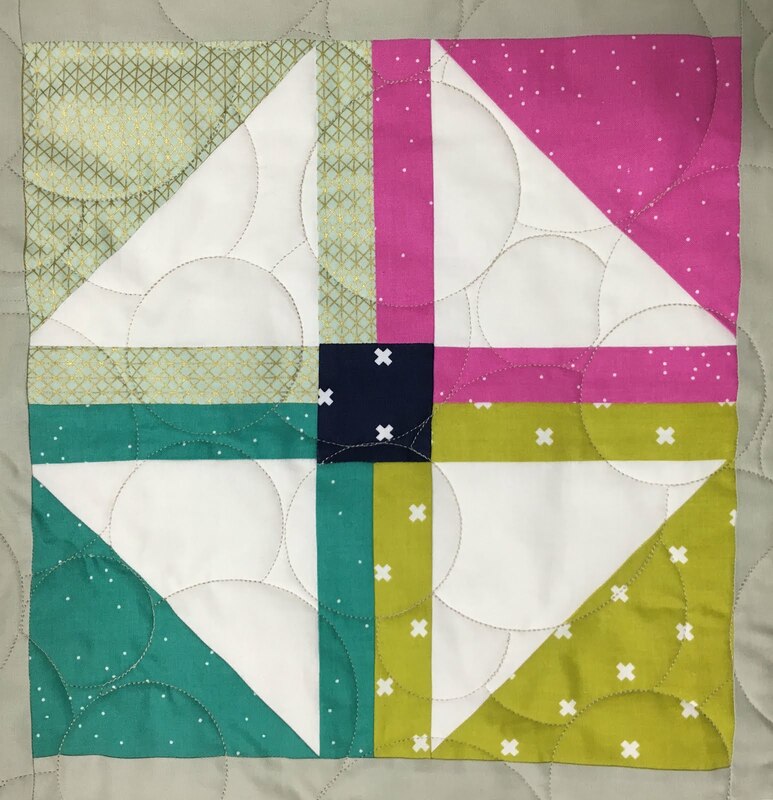 I like that she included the Half-Square Triangle equation in the tutorial--we won't need it in this quilt, but I know it will be useful in the future when I'm attempting my own quilt math.